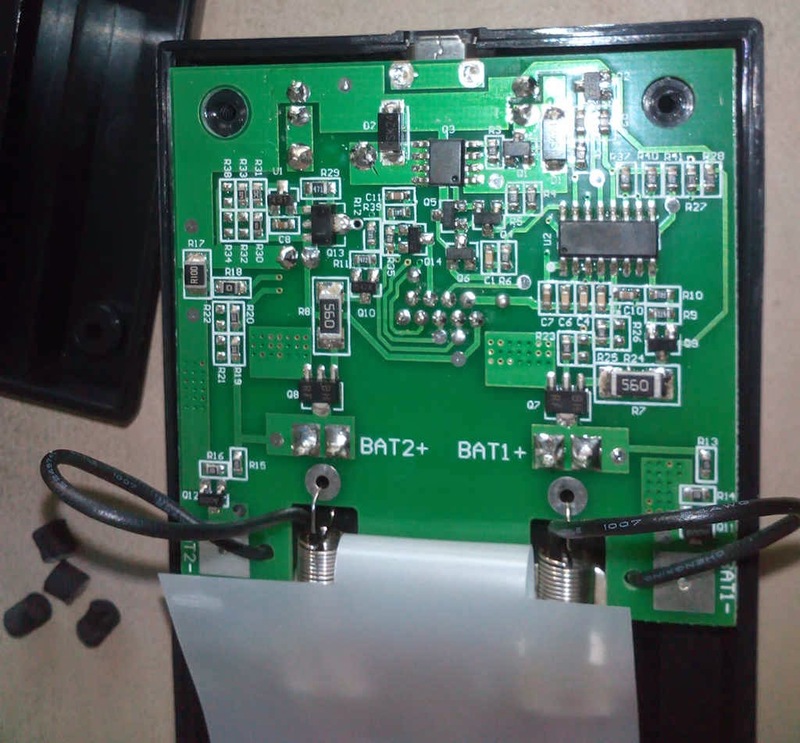 First tests show that the charger works well for NiMH and LiIon cells. 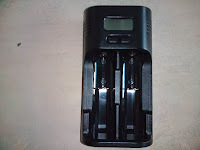 For a few seconds after plugging in new batteries, the chemistry is checked based upon the cell voltage. The display shows LiIon, which is a bit terrifying - will it blow up the 1.2V battery with 4.2V? But after short time, no chemistry is shown on the LC display which means the NiMH charging program with -dV detection is used. During this detection phase you can push the buttons below the LCD to switch between LiIon and LiFePO charging parameters. 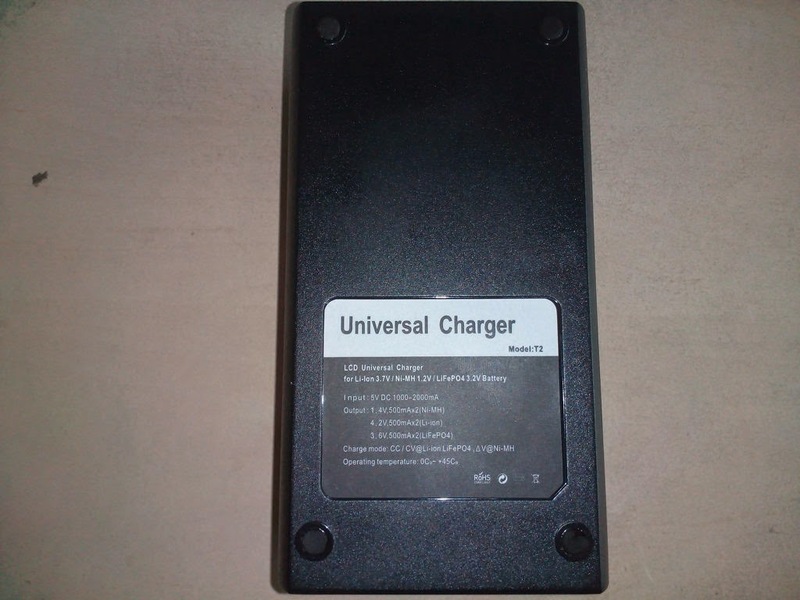 The charger monitors the cell voltage which it shows on the display during charging. 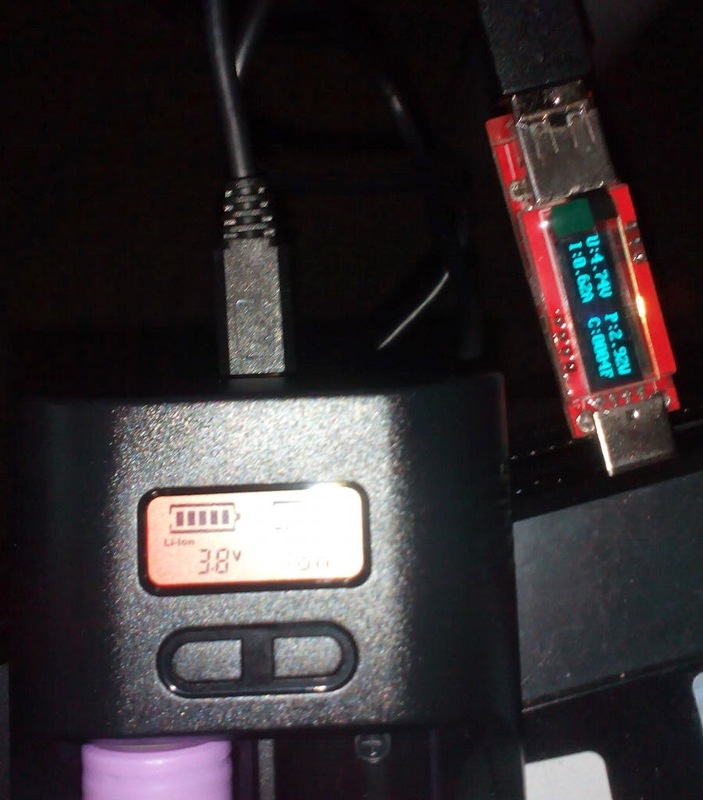 And of course the current: It can display the mAh charged into the battery, also the time it needed and a fourth position which just shows "----" for me; during charging LiIons or LiFePO, the percentage is shown here. A LiIon cell gets detected correctly, too. The build quality is actually quite nice, I don't see bad soldering, everything seems clean. 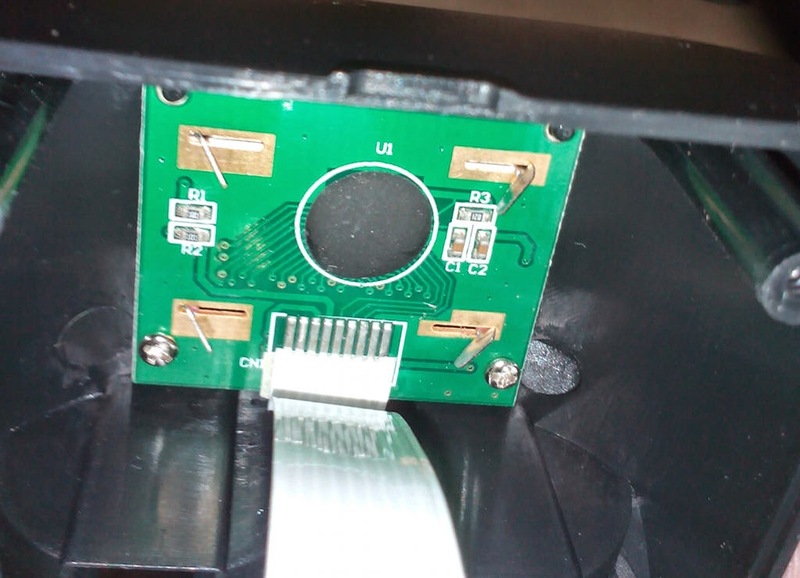 The negative contacts for the batteries are sliding smooth. The display is easy to read. Flat top cells can make contact with the positive tabs due to a small bump. The charger delivers 500mA to each cell when charged in pairs; 1A for a single cell. Which seems to be one of the major differences to a Soshine H2 charger. The NiMH charging program uses a constant current and switches off either with a -dV detection or a timer based time-out. This is no real problem, but it unnecessarily prolongs the charging process. The charger uses a 'good enough' approximation of a CC-CV charging scheme. After the charger shows 4.2V /FULL for the LiIon battery, the input current drops down to 0.7-1.0W. Removing the battery then lets the current drop down to 30mW. The Soshine T2 silently continues with the CV charging without increasing the counters. 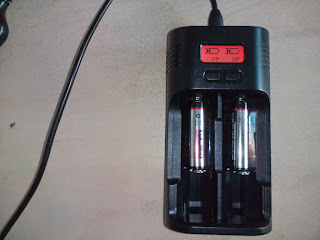 It silently charges a little more; this is also the behaviour of the charger when it restarts due to the cell dropping below the threshold voltage for recharging. After a short time, the current decreases to 30mW on the USB port with the LiIon battery still inserted in the Soshine T2. 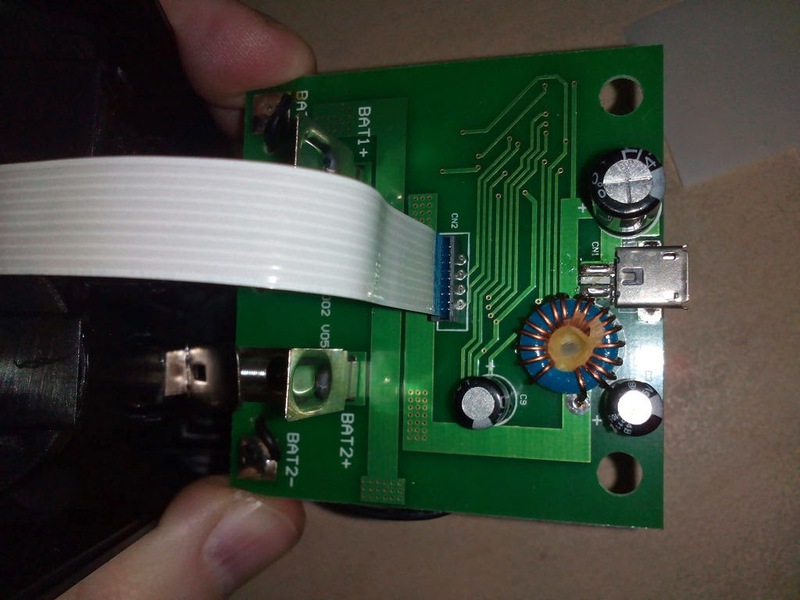 This will be the idle power from the microcontroller and additional circuits. 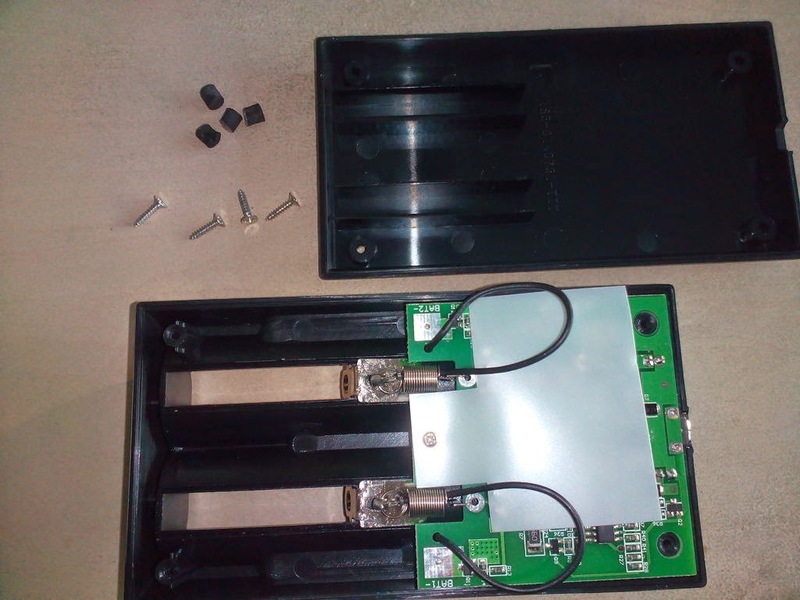 Update: Here are results from a deeper look at this charger with real current and voltage plots. 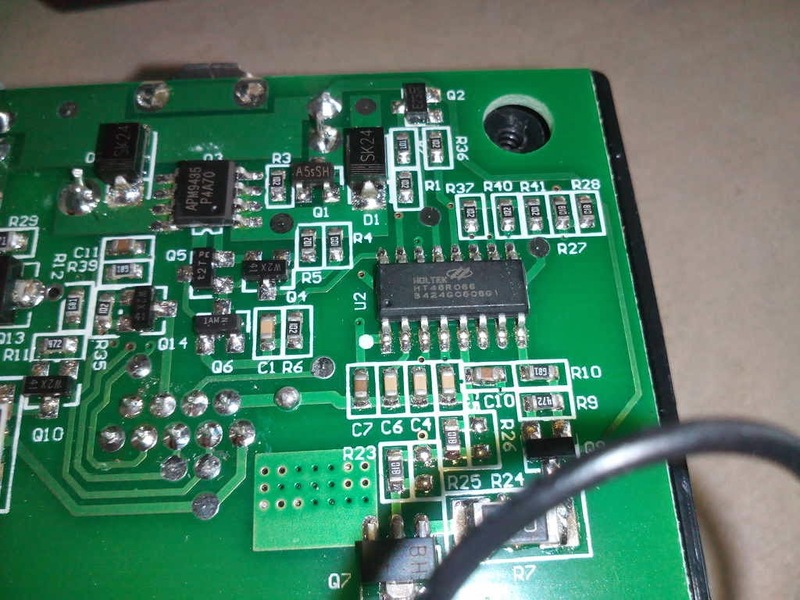 The used Holtek µC in a SSOP16 housing offers plenty of IOs, 12 bit ADC, LCD driver, an internal 12 MHz oscillator, 128 Bytes of RAM; in short it is cheap and powerful enough for controlling a Buck topology for constant current and constant voltage. Though as can be seen, only one inductor is used for two otherwise independant channels and there are two 56 Ohm high-power resistors in place. It'll step down by limiting the current and then burn energy with resistors and transistors. The LC display has its own controller or even just a shift register (sealed with a tar blob), by the way. 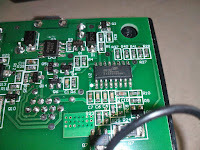 It is connected via 6 lines, from which 3 seem to be power supply as they lead to thicker lanes on the PCB. LiIon tests are still going on, but so far they are as well as the NiMH tests very promising. The charger does what I need it for - it properly fast charges my AAA batteries for the mouse at the computer at work. - Diodes, SOT23 transistors, ceramic capacitors, heaps of SMD resistors. 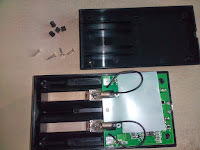 - Display, Inductor/Coil, electrolyte capacitors, MicroUSB connector. So far for my fast first-look at this charger. Where did you buy the charger from? I bought it via Ali Express - it's quite cheap available there. 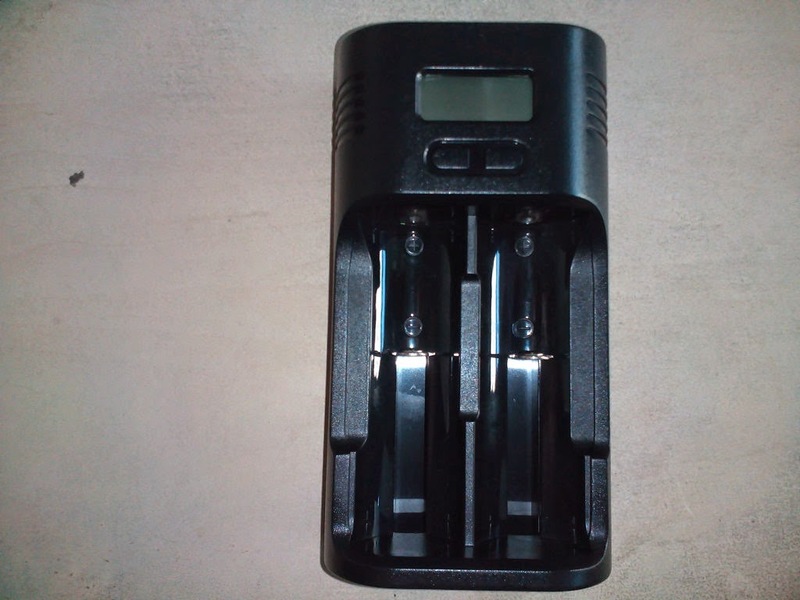 For example this offer: http://www.aliexpress.com/item/2015-New-Soshine-T2-Digital-LCD-2-Slot-18650-26650-18500-18350-16340-Battery-Charger-US/32333981025.html - but you can find it even cheaper when searching there.